Are you looking for rent a luxury apartments in Masteri Thao Dien? Why not choose this apartment in Masteri Thao Dien with a fully equipped, high floor location and beautiful views! 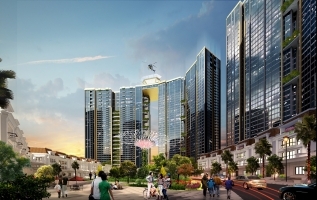 Masteri Thao Dien luxury condominiums located at the gold position – adjacent to the central business district of Ho Chi Minh City and is the economic gateway for trade to the neighboring province of Vung Tau, Dong Nai, Binh Duong.